The PHB-550R model has been discontinued. Please see the PHB-600R as a possible alternative or contact our Flow Engineering department. 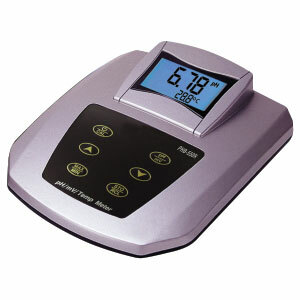 The PHB-550R is a microprocessor-based pH/mV/temp benchtop meter with splashproof housing. Via an RS232 interface, the user can upload data to a PC. 참고: Comes with pH electrode, temperature probe, 2 buffer solutions, communications cable and complete operator’s manual.